A list of the current vacancies can be found here. You’ll find application details and closing dates against each vacancy. You must comply fully with the application procedure in order to be considered. We will endeavour to respond to all job applicants as soon as possible after the closing date. UCEM will advertise all job opportunities on this website and does not retain speculative CVs on file. We request that recruitment agencies do not submit CVs for job vacancies, unless specifically requested to do so by the HR team. UCEM will only accept agency CVs where terms and conditions of contract have been previously negotiated and agreed with the HR team. 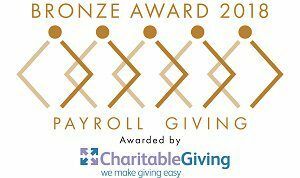 UCEM are proud to have achieved the bronze category Payroll Giving Quality Mark, as recognition for our generous contributions to UK charities. The Bronze Award is a symbol of excellence which demonstrates our philanthropic culture and committed giving in the workplace. Tax efficient Charitable Giving is just one of the many employee benefits offered here at UCEM. At UCEM we encourage our staff to display our four key values. These values underpin the work that we all contribute to. It is important that potential applicants both understand these values and have the passion to demonstrate them in their work.